This book was written not by Solomon as claimed, but by a writer who actually identifies himself “as a subject (4:13, 8:2, 9:14-16, 10:16-17 and 20), noting conditions of oppression (4:13), injustice (4:8, 5:8), and social upheaval (10:6-7). The language . . . is a late form of biblical Hebrew, coming closest of any Old Testament book to post-biblical Mishnaic Hebrew. 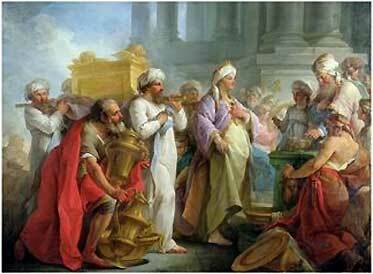 The presence of Persian loan-words requires a date well after Israel’s release from exile in 539 B.C.E. Fragments of the book found among the Dead Sea Scrolls of the Qumran community date to the mid-second century B.C.E. Most scholars date the book’s composition between 300 and 200 B.C.E.” (Meeks 986) The Mishnah is a collection of oral literature of the early Hebrew people who appear to us as the first portion of the Torah. We find the theme of this book laid out clearly in the first chapter: All is vanity that does not come from God. It does not take any time at all for us to put this reading into the context of our own lives. What does take some time is to determine what to do with this self-knowledge. We have entered the season of Advent – an exciting, mysterious time in the liturgical calendar that we associate with a feeling of expectation – a time of promises and fulfillment. We in the northern hemisphere also associate this time of year with the coming on of darkness and cold; while in the southern hemisphere, Advent is experienced as a time of lengthening days and rising temperatures. I often think that the later is more apt. Warmth, light, ease of days, promise . . . Christ. The writer of Ecclesiastes tells us that all else besides a life that acts in this promise is futile. As followers of Christ, our example of living in hope is paramount for ourselves, for our community, and for the greater world. We enact Christ when we put aside the vanity that we are all, and take on the understanding that The Promise is all. As we move through this day and begin this week after spending a day or days of Thanksgiving for the bounty of the earth, we will want to pause to examine our spiritual bounty as well. Just as we examine our relationships with family and friends, we will also want to examine our relationship with the Creator, the Redeemer and the Comforter. We will want to unfold the miracle of this love so great that it overcomes all trials and injustices. We will want to allow ourselves to step into that which is not in vain. We will want to remember, we will want to trust, we will want to believe, we will want to hope. We already know that there is nothing new under the sun . . . and so what we hope to experience is that which is new . . . that which is not in vain . . . and that which is worthy of every ounce of strength we have in body, mind and soul. Like the audience of Ecclesiastes, we who have returned from exile will want to reunite in intimacy with our God and so we might try to spend more time this season with this book of wisdom, parsing out its verses to complement our days. In this way, we might hope to be full of God’s wisdom rather than our own, we might hope to live in God’s love rather than our own, and we might hope to be Christ rather than an empty vanity of vanities. Meeks, Wayne A., Gen. Ed. HARPERCOLLINS STUDY BIBLE (NRSV). New York, New York: HarperCollins Publishers, 1989. Print. A Favorite from November 30, 2009. This might well be the cry of any of the faithful ones who seek to do God’s will in the midst of a crazy and alluring world. When we read the closing chapters of Nehemiah, the reformer, rebuilder and administrator, we hear the plea which might come from any of us who struggle to right a foundering ship. 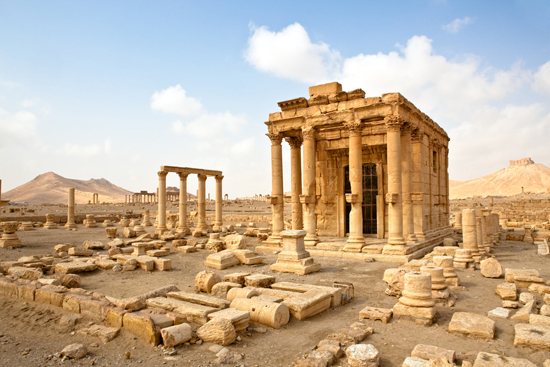 In this chapter of 1 Kings we see the beautiful temple built by Solomon dedicated to God. We read Solomon’s prayer, said in the presence of the whole community of Israel. And we see a king and a people commit themselves to living a life as their God would have them live it: in accordance with the terms of the covenant first struck with Abraham. We might want to reflect today on how we dedicate ourselves to God, and to the terms of the covenant into which we ourselves have entered. As he begins his prayer, Solomon intones, Lord, God of Israel, there is no God like you in heaven above or on earth below; you keep your covenant of kindness with your servants who are faithful to you with your whole heart. Later he prays, May your eyes watch day and night over this temple, the place where you have decreed you shall be honored; may you heed the prayer which I, your servant, offer in this place. Listen to the petitions of your servant and of your people Israel which they offer in this place. Listen from your heavenly dwelling and grant pardon. The beautiful part of this story arrives with the New Testament when God’s people become the temple through Christ, the priest and intercessor, and when we fully realize the magnitude and depth of God’s compassion and mercy, his willingness – even eagerness – to forgive our waywardness. From the MAGNIFICAT Morning Prayer: In my Father’s house there are many dwelling places. If there were not, would I have told you that I am going to prepare a place for you? (John 14:2) And from the mini-reflection: In the house of Jesus’ Father, the temple, there were many courts and rooms provided for the use of different groups of people in their desire to enter God’s presence and worship him in the place where he dwelt. According to John’s Gospel, which we read during Easter, Jesus is the new and eternal Temple where God dwells among us. In his heart, opened to all peoples on the cross, there is a place for everyone who seeks God. Have we fully dedicated our lives to the service of God? Have we established the rituals and the offerings? Do we intone our own prayer morning, noon and night? If we say we are dedicated and committed, to what, to whom, why, how, when and where? If we cannot answer these questions quickly and with certainty, we may want to look again at the care with which Solomon and his people build and dedicate a place to a God who is goodness itself, a God who loves and saves. If we answer these questions quickly and surely, let us take this moment in this present Easter season to re-dedicate ourselves to this gracious and marvelous God. You are in our midst; your name we bear: make us a fit dwelling place for your love. You have made us temples of your Spirit: cleanse our hearts and make of them a house of prayer. You have chosen us as your resting place for ever: grant us peace in your presence. A favorite from April 30, 2010. Cameron, Peter John. “Prayer for the Morning.” MAGNIFICAT. 30.4 (2010). Print. As he was making his way out of the temple area one of his disciples said to him, “Look, teacher, what stones and what buildings!” Jesus said to him, “Do you see these great buildings? There will not be one stone left upon another that will not be thrown down”. The disciple in this story is not named but his words are recorded. Clearly the temple and surrounding buildings strike him with awe. This is what King Solomon foresaw when planning the temple complex. It housed the Ark of the Covenant and was meant as a suitable abode for God on earth, a place where the faithful might come to offer sacrifice, to atone, to be in the presence of the Living God. The disciple in today’s story is walking and talking with Jesus – the Living God’s living presence – and yet he focuses on the old order and sees not the presence of God beside him but the stationary temple that no longer wanders with her pilgrim people. Jesus re-directs his disciple’s attention and he also reminds us that these stones, this temple cannot stand eternally. God says: You worry about your structures, your titles, your possessions and your awards. Turn from them and turn to me. Put aside the power you believe you have consolidated. Put down the tools you use to create your little empires and come to the living one who brings you eternal peace. There is no need for the status and goods you amass. They do not really protect you. They cannot really save you. I am the Living Presence among you. This has been foretold. Heed these words and show that you believe them in every waking moment of every day. Consider the stones of our thinking that weigh us down. Consider the great buildings to ourselves that will tumble in time. Consider the eternal rest and security that Jesus foretells. Tomorrow, a reflection on signs of the end.